Here’s why and how to balance your training with quality sleep and recovery, which is just as important as training hard. How much sleep do we need and how can we sleep better? Sports scientist Benjamin Garcia shares his insight on getting that premium shut-eye. Should I worry about overtraining if I’m not a pro? Is overtraining something that only top-level athletes should worry about or can anyone suffer from overtraining? Pro triathlete Kaisa Sali emphasizes the importance of taking a break from training and racing. Here is how she slowly starts off-season training after complete rest and full recovery. Here’s what athletes need to understand about the importance of tracking sleep, according to Michael Breus, “The Sleep Doctor”. Do you recognize the fine line between pushing yourself and harming yourself? Here’s how Sebastian Kienle knows how much is too much. We tapped into our anonymized data and put together a few highlights of the real sleep habits of Polar Sleep Plus users around the globe. Read the top tips for stress relief from Polar Ambassador, Nutritionist and Trainer Brooke Turner. When given the choice, you should always favor the stairs over an elevator, right? Here, 5 Polar pros weigh in on the stairs vs. elevator debate. Professional athletes, they’re just like us – they love sleep!  Polar athlete Will Leer knows that sleep and performance sports go hand in hand. Read how he gets it all done – and manages nine hours of snoozing at night.